In this BRAND NEW presentation, this chapter STEPS FORWARD, out of the cobwebs and shadows it has hidden in for 2000+ years and tells it as it IS, and as it always HAS BEEN! STAND-ALONE PROPHETIC SEQUENCE that, compared with MATTHEW chapter 24, ISAIAH chapter 66, and the properly interpreted first visions (but not the later ones!) of Ellen G. White reveal WHAT DID INDEED HAPPEN in the 20th century. DIFFERENT IMAGE -- ALL OF GOLD! BUT THE SAME MESSAGE AND THE SAME GOD, AFTER ALL! THE GOLDEN TRINITY! 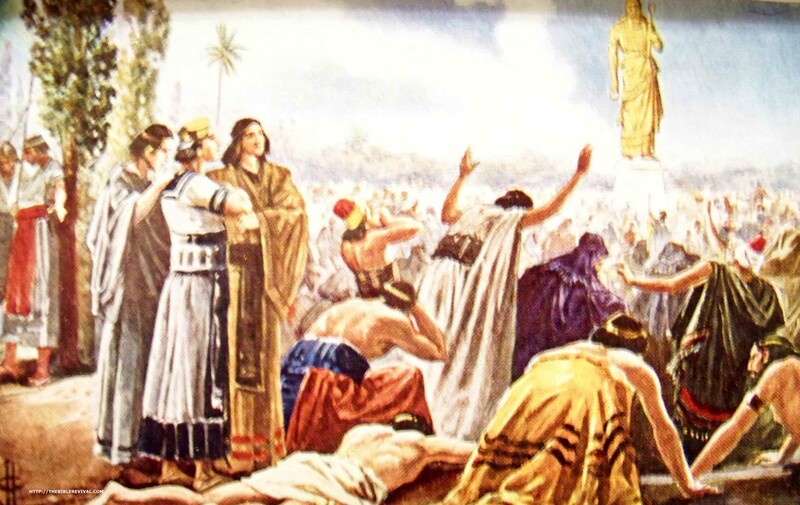 The Adventists in 1844 had a glimpse of a Jewish human Jesus as a high priest, not "God", but later, in 1888, stumbled and resisted the oppressive mass and gravity of the majority for a moment, then fell into line. At that time we joined the crowd of universal gold-god worshippers! And O how good and comfortable it feels NOT TO BE STANDING ALONE while all our friends are bowing and worshipping. For, proclaimed Paul, the ultimate Heretic Jew, in Philippians 2:9-11 "Wherefore God also hath highly exalted him, and given him a name that is above every name: 10 That at the name of Jesus every knee should bow, of things in heaven, and things in earth, and things under the earth (in hell); 11 And that every tongue should confess that Jesus Christ is Lord, to the glory of God the Father." 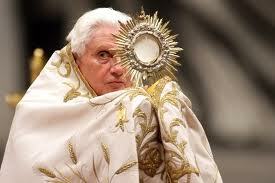 Is this the REAL JESUS we and everyone else is bowing to? Or a SHAM, a DECEPTION. a CARICATURE of Jesus that he never really resembled in any real way? We, the Blind, Deaf, and Illiterate! Mark 4:9 "And he said unto them, He that hath ears to hear, let him hear. 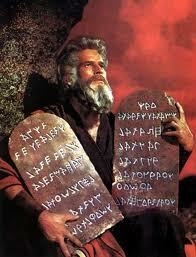 11 "And he said unto them, Unto you (those with minds!) it is given to know the mystery of the kingdom of God: but unto them that are without, all these things are done in parables: 12 That seeing they may see, and not perceive; and hearing they may hear, and not understand; lest at any time they should be converted, and their sins should be forgiven them." FRIDAY, January 2, 2015: A cell-phone rings: It is the cell-phone belonging to Patrick Williams, new pastor of a little over one year's duration of the Asheville, North Carolina, FOSTER MEMORIAL Seventh-day Adventist church. He is rejoicing in the contemplation that TOMORROW, Sabbath January 3, 2015, the just-finished new FOYER will be completed and he can preach his first Sabbath sermon to an enthralled audience led in music by the very best in modern New Age Gospel Christian musicians and sometimes actors of Contemporary Christians Plays. That's part of his blessings. But Patrick, like all pastors, has his CURSES that he must deal with also. One of these CURSES is me. I am. temporarily at least, part of that congregation he is expecting to show up on Sabbath morning. I'm on the other end of the invisible wi-fi connection to his cell-phone. "Patrick! Patrick Williams?" "I'm still here in Daniel, -- studying." "Patrick, I've decided that the "burning fiery-furnace of Daniel chapter 3 is the JEWISH HOLOCAUST!" Silence on both cell-phones, his and mine, for a few seconds. "Patrick, it will be hard for me to prove this, what with all those DEAD JEWS. Perhaps DEATH does not look the same to God as it does to us. Maybe its a matter of perspective!" "Interesting thought," said Patrick. "I'll have to think about that for a bit." "Will you be in church tomorrow?" said Patrick. Instead I drove to West Virginian, and visited with the Smyrna Sabbath Chapel "Almost SDA's". 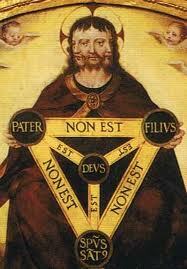 They say "NO" to the Divine Trinity as stated at Nicaea. We talked a lot about Daniel chapter 3 and the ability to "Just say NO!" It's now Sunday morning, January 4, and I'm back in Asheville, North Carolina, here on my computer putting this all together for God, and You, and the history of Religion as I'm seeing it at this moment! The Daniel Bible Story that Adventists Totally Missed the Meaning Of! DON'T TURN THIS OFF JUST BECAUSE IT JUST LOOKS LIKE A REPETITION OF THE LAST WEB PAGE! THIS TIME I'll THROW IN MATT. 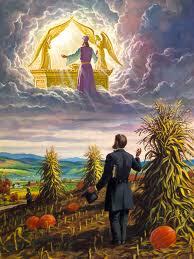 24, ISAIAH 66, AND ELLEN WHITE (EARLY) WHEN THE APPROPRIATE TIMES TO DO SO APPEAR! 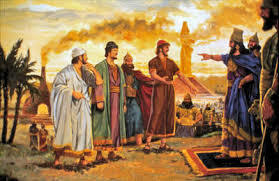 2 "Then Nebuchadnezzar the king sent to gather together the princes, the governors, the captains, the judges, the treasurers, the counsellors, the sheriffs, and all the rulers of the provinces, to come to the dedication of the image which Nebuchadnezzar the king had set up." (True or not, the story-teller here is attempting to make us see Babylon as controlling the whole world, and these officials as being the officials who control all our behaviors, then and now). 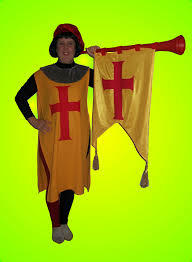 6 "And whoso FALLETH NOT DOWN and worshippeth shall the same hour be cast into the midst of a burning fiery furnace." NOTE THAT: Nebuchadnezzar and his planners and associates in this project were well-prepared for somebody to say "NO"! Indeed it wouldn't have been much of a story if no one had ever said "NO"! A great deal of entertainment throughout the AGES has been provided by and for a great number of people watching those tortured, burned, and otherwise mutilated who have had the courage to "Just say NO!" Verse 7 "Therefore at that time, when all the people heard the sound of the cornet, flute, harp, sackbut, psaltery, and all kinds of musick, all the people, the nations, and the languages, fell down and worshipped the golden image that Nebuchad-nezzar the king had set up." Well now, ignoring the time and events of the Maccabees, 150 years before the time of Christ, too close to Daniel's assumed time period and too short in length to have major prophetic importance for the larger world, the next major confrontation between Judaism and major world religions would be in 324 AD, at the Council of Nicaea. So that's the date I'll give here for Nebuchadnezzar's decree and the building of the GOLDEN IMAGE that everyone MUST worship. Remember now, Jews must be threatened with DEATH for holding Jewish beliefs for this to fit the circumstances of Daniel 3. All those Christian martyrs just don't count! 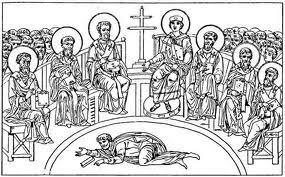 325 AD C. of Nicaea- The World MUST worship! 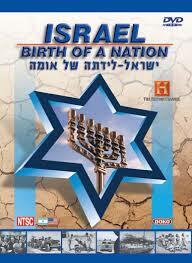 Daniel 3:8 "Wherefore at that time certain Chaldeans came near, and accused the Jews." 9 "They spake and said to the king Nebuchadnezzar, O king, live for ever. 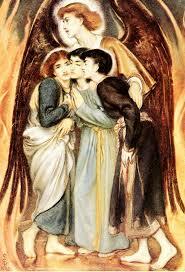 11 "And whoso FALLETH NOT DOWN and worshippeth, that he should be cast into the midst of a burning fiery furnace." 12 "There are certain Jews whom thou hast set over the affairs of the province of Babylon, Shadrach, Meshach, and Abed-nego; these men, O King, have not regarded thee: they serve not thy gods, nor worship the golden image which thou has set up. (We can assume from the way this is written that a certain amount of time had passed after the initial decree, the Decree of the Council of Nicaea had been passed making ALL RELIGIONS other than a carefully structured and rigidly enforced version of Christianity became ILLEGAL and non-conformity punished by DEATH ("The INQUISITION") Nebuchadnezzar's political and religious group the Roman Catholic Church ("Chaldeans") were monitoring the NON-CONFORMITY of JEWS and PROTESTANTS during this rather long period of time. 13 "Then Nebuchadnezzar in his rage and fury commanded to bring Shadrach, Meshach, and Abed-nego. Then they brought these men before the king." Nebuchadnezzar has grown a small black moustache by now and his "mighty men" are wearing swastikas, not ordinary Christian crosses! Shadrach, Meshach, and Abed-nego were forced to wear yellow "stars of David" on their clothing as they appeared before the ruler. 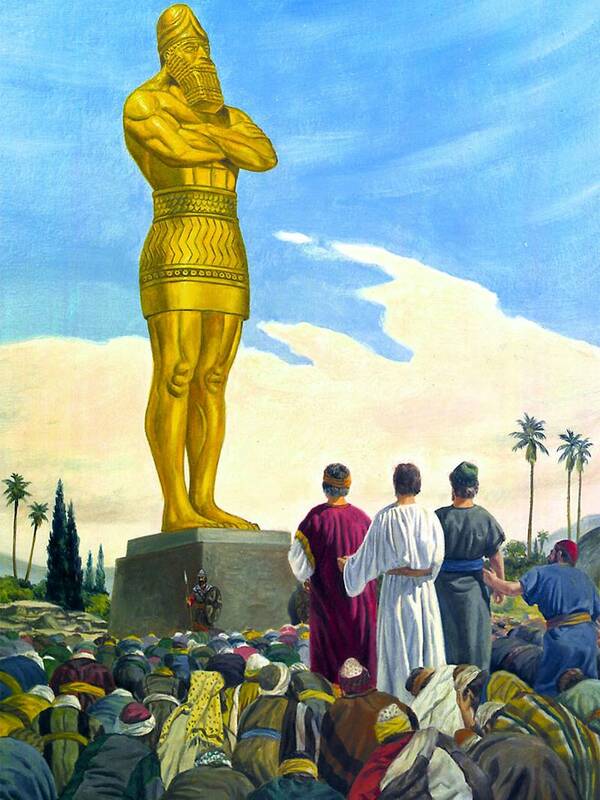 14 "Nebuchadnezzar spake and said unto them, Is it true, O Shadrach, Meshach, and Abed-nego, do ye not serve my gods, nor worship the golden image which I have set up?" 15 "Now if ye be ready that at the time ye hear the sound of the cornet, flute, harp, sackbut, psaltery, and dulcimer, and all kinds of musick, ye fall down and worship the image which I have made; well; but if ye worship NOT, ye shall be cast the same hour into the midst of a burning fiery furnace; and who is that God that shall deliver you out of my hands?" 16 "Shadrach, Meshach, and Abednego, answered and said to the king, O Nebuchadnezzar, we are not careful to answer thee in this matter." 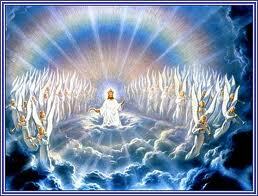 17 "If it be so, Our God whom we serve is able to deliver us out of thine hand, O king." 18 "But if not, be it known unto thee, O king, that we will not serve thy gods, nor worship the golden image which thou has set up." 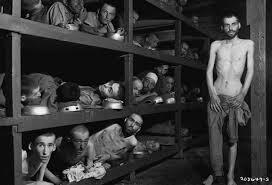 19 "Then was ADOLPH HITLER full of fury, and the form of his visage was changed against Shadrach, Meshach, and Abed-nego: therefore he spake, and commanded that they should heat the furnace one seven times more than it was wont to be heated." 20 "And he commanded the most mighty men that were in his army to bind Shadrach, Meshach, and Abed-nego, and to cast them into the burning fiery furnace." 21 "Then these men were bound in their coats, their hosen, and their hats, and their other garments, and were cast into the midst of the burning fiery furnace." 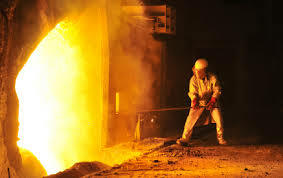 22 "Therefore because the king's commandment was urgent, and the furnace exceedingly hot, the flame of the fire slew those men that took up Shadrach, Meshach, and Abed-nego." 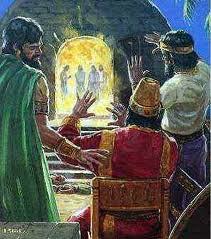 23 "And these three men, Shadrach, Meshach, and Abed-nego, fell down bound into the midst of the burning fiery furnace." 24 "Then Nebuchadnezzar the king was astonied, and rose up in haste, and spoke, and said unto his counsellors, Did not we cast three men bound into the midst of the fire? They answered and said unto the king, True, O king." 25 "He answered and said, Lo, I see four men loose, walking in the midst of the fire, and they have no hurt; and the form of the fourth is like the Son of God." 26 "Then Nebuchadnezzar came near to the mouth of the burning fiery furnace, and spake, and said, Shadrach, Meshach, and Abed-nego, ye servants of the most high God, come forth, and come hither." 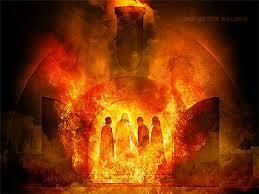 "Then Shadrach, Meshach, and Abed-nego, came forth of the midst of the fire." 27 "And the princes, governors, and captains, and the king's counsellors, being gathered together, saw these men, upon whose bodies the fire had now power, nor was an hair of their head singed, neither were their coats changed, nor the smell of fire had passed on them." Obviously I've got some big-time creative explaining to do to make this fit the real historical situation we know so much about! 28 "Then Nebuchadnezzar spake, and said, Blessed be the God of Shadrach, Meshach, and Abed-nego, who hath sent his angel, and delivered his servants that trusted in him, and have changed the king's word, and yielded their bodies, that they MIGHT NOT SERVE NOR WORSHIP ANY GODS, except their OWN GOD. 29 "Therefore I make a decree, That every people, nation, and language, which speak any thing amiss against the God of Shadrach, Meshach, and Abed-nego, shall be cut in pieces, and their houses shall be made a dunghill: because there is no other God that can deliver after this sort." 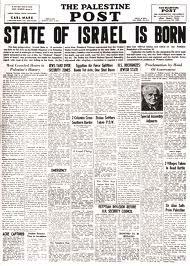 The REFUSAL of the 3 HEBREWS, Shadrach, Meshach, and Abed-hego to worship the Golden "TRINITY" image was honored, symbolically at least, on May 14, 15 - 1948 when Israel became a Nation once again! Cell phone back on -- in my imagination this time -- Patrick and I have not yet had this conversation! Perhaps we will. Perhaps we won't. Seventh-day Adventists believe they are the TRUE JEWS ("Israel of God" was the exact phraseology Ellen White used in 1847). She's dead now and can't very well change what she has written! But she did write enough to prove my new interpretation of Daniel chapter 3, as we will now see (those with divine-aided eyesight). "Patrick. 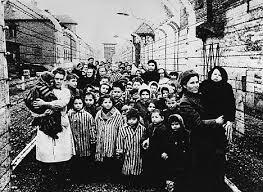 God can consider 4 million DEAD JEWS to be just a small down-payment on getting their country back as a Jewish homeland in May 14, 15 -- 1948. Just like we in the Western World consider 50 million war-dead in World War II to be a small, --well maybe not small, but reasonable, -- price to pay for still having our FREEDOM TO SAY "NO" to Islamic Terrorists like Al Quiada after September 11, 2001 --- and to ISIS Terrorists in 2014.
p "Then was ADOLPH HITLER full of fury, and the form of his visage was changed against Shadrach, Meshach, and Abed-nego: therefore he spake, and commanded that they should heat the furnace one seven times more than it was wont to be heated." I've learned from now more than 25 years of doing Bible Codes such as we're into here in Daniel chapter 3 that if something looks really strange and unlikely it has another much more probable meaning. 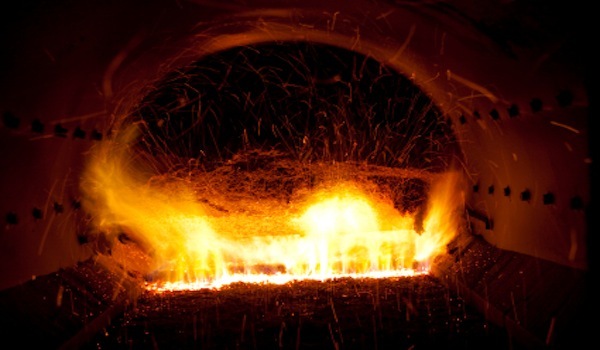 Those oversize bread-ovens they used to smelt gold in Nebuchadnezzar's Babylon couldn't possibly be made hot enough to make real steel, never mid the heat being hinted at here! 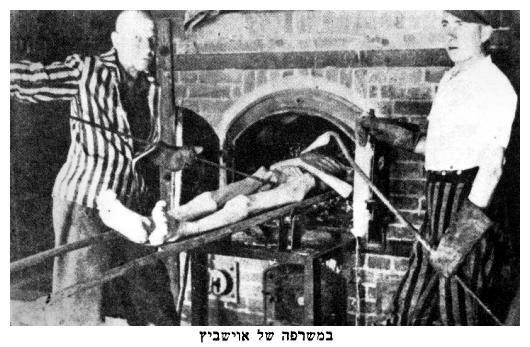 Even Hitler and the Nazis at Auschwitz would have burned down their entire concentration camp if they had made those antiquated brick furnaces much hotter than they were usually run at. Look at the picture above! Ordinary bricks with cast-iron doors. 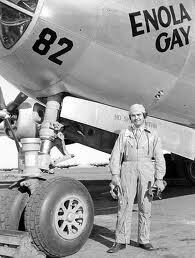 We're talking ATOMIC BOMB temperatures here! Once you can see that, then the rest of the interpretation falls into place, and Daniel 3 integrates with Matthew 24, Isaiah 66, and Ellen White. 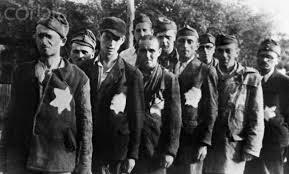 The few MIGHTY MEN of Daniel 3:20 becomes Hitler's MIGHTY ARMY, the mightiest of that ERA, intent on ruling the whole world, not just "tying up three Jews" and throwing them in a hot furnace! It was the bad decision to invade Russia that brought the German army to a stand-still, like it had Alexander the Great and Napoleon before Hitler. 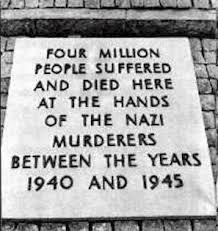 And the Allies at the Normandy beach-head were the ones who finally liberated those Jews that the Nazis had not already worked to death or slaughtered. 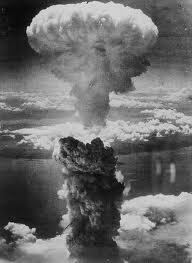 But symbolically and prophetically it was the Atomic Bombs at Hiroshima and Nagasaki that brought World War II to a close and allowed God to restore to his People Israel (not forgotten after all) their ancient homeland. The verses of Daniel 3 that represents the Atomic Bomb are verse 19 "seven times hotter" and verse 22 ---"Therefore because the king's commandment was urgent, and the furnace exceedingly hot, the flame of the fire slew those men that took up Shadrach, Meshach, and Abed-nego." Isaiah 66:6 connects the Rebirth of Israel with the "Voice of God", a voice of Noise in a city" The city was Hiroshima, and the "NOISE" was the Atomic Bomb. 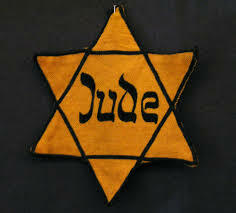 Matthew 24:22 "And except those days should be shortened (the "days" of WWII and the holocaust), there should no (Jewish) flesh be saved (the Death Decree of Hitler): but for the elect's sake (Jews, not Christians being the "elect") those days shall be shortened." Matthew 24:27 "For as the LIGHTNING (again the Atomic Bomb) cometh out of the east (from the United States, east of Japan) and shineth even unto the west (Hiroshima, Japan, west of the United States); so shall also the coming of the Son of man be (to resurrect Israel as a nation and fulfill all those prophecies he failed to fulfill in the first century AD)." "--and the moon shall not give her light (a few years later as men's shadows "darkened" a small portion of the moon's surface) -- "and the stars (ICBMs) shall fall from heaven, and the powers of the heavens (the constellations of the Zodiac) shall be shaken (as Pisces "moves over" for Aquarius). Matthew 24:30 "And then shall appear the sign of the Son of man in heaven: --"
Matthew 24:30b "--and then shall all the tribes of the earth (fallen on their faces worshipping Nebuchadnezzar's GOLDEN IMAGE) mourn, and they shall see (really SEE this time!) the Son of man (really just another NAME for the constellation Aquarius) coming in the clouds of heaven with POWER and GREAT GLORY." The "Power" and "Glory" of 6000 years of ASTROLOGY! Matthew 24:31 "And he (Jesus as Aquarius) shall send his angels (with ships and airplanes) with the sound of a trumpet (again the sound of the Atomic Bomb on August 6, 1945, at 8:15 AM), and they (the angels with ships and airplanes) shall gather together his elect (Jews, not Christians) from the four winds, from one end of heaven to the other." SAME THING, ISAIAH VERSION: Isaiah 66:20 "And they shall bring all your brethren for an offering unto the Lord out of all nations upon horses, and in chariots, and in litters, and upon mules, and upon swift beasts (four-headed leopards? ), to my holy mountain Jerusalem, saith the Lord, as the children of Israel bring an offering in a clean vessel into the house of the Lord." 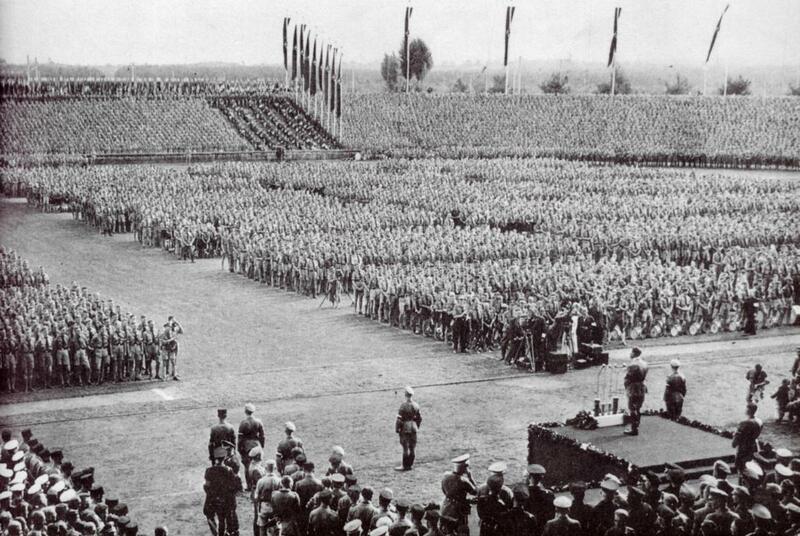 "The 144,000 were all sealed and perfectly united (but not on the ground before Hitler's GOLDEN IMAGE). On their foreheads was written, God, New Jerusalem, and a glorious star --"
"containing Jesus' new name. At our happy, holy state the wicked were enraged. 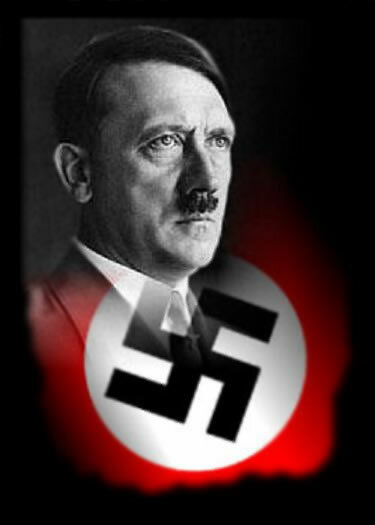 (They got up from lying face-down before Hitler's GOLDEN IMAGE and "would rush violently up to lay hands on us to thrust us into prison (as non-Trinitarian heretics), when we would stretch forth the hand in the name of the Lord, and they would fall helpless to the ground (common only in Pentecostal churches). "Then it was that the synagogue of Satan (Trinitarians of all types) knew that God had loved us who could wash one another's feet (accept those with deviant beliefs and practices) and salute the brethren with a holy kiss (some of these practices definitely not Catholic!) and they worshipped at our feet." "Yes, Bob, -- Patrick here." "I've finished Daniel chapter 3." 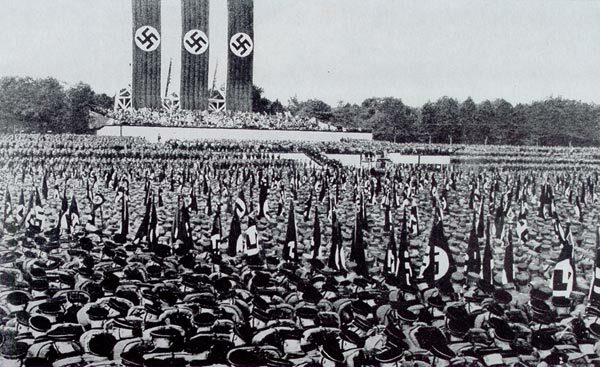 "Did you figure out what 4 million dead Jews have to do with us, the Seventh-day Adventists, the "Israel of God" as Ellen White clearly called us on page 34 of "Early Writings"? "Patrick, page 34 was part of another of Ellen's visions, which she experienced in 1847 at Topsham, Maine. By then a mere hand-full of Adventists, but not all, were keeping the Seventh-day Sabbath. Ellen was making a big distinction between those who were and those who weren't. Wrote Ellen --"And when the never-ending blessing was pronounced on those who had honored God in keeping His Sabbath holy, there was a mighty shout of victory over the beast and over his image." Here we're seemingly out of the range of Daniel chapter 3, but not really, and next I'll be getting into these subjects also." "Bob, do you think it's OK for us to allow people to stand up and raise their arms above their heads, and sway like Elvis Presley as we sing the "New Songs of Zion?" "Hey, Patrick. That's Daniel 3 theology! Go for it!" "How about if we beat a few drums, loudly! Nebuchadnezzar's herald didn't say a thing about drums, although he specifically mentioned quite a few other instruments." "Patrick, you guys are definitely marching to the sound of a different drummer!" "But like I said in our first conversation about this subject, perhaps Christ will consider you as "honorary Jews" --- You're Shadrach, Phil Roseberg who has the initial advantage of a Jewish-sounding last name -- he's Meshach. And Zach MacDonald, he can march under the name of Abed-nego." "Meanwhile, I'll be studying up for my forth-coming church trial. God has promised us Adventists the position of "Judges of all the Earth" for 1000 years, and we can start by disfellow-shipping Dr. Bob Holt for his totally heretical new interpretation of Daniel chapter 3." On the way back from West Virginia on the Interstates I came up with, "invented" one might say, a whole new category for PROPHETIC FULFILLMENTS! It's based on ALERNATIVE REALITY, a concept just now becoming popular in Science Fiction and other Hollywood movies. I've added two more adjectives to more accurately describe my new ALTERNATE REALITY, which are "Fantastic" and "Prophecy". Total term, sure to be both successful and in this present age "believable". So here it comes! Remember, you saw it here FIRST! Enjoy! --- Dr. Bob Holt, MD.